The diamond certificate provides details about the critical parameters that affect the gem’s quality, value and appearance. 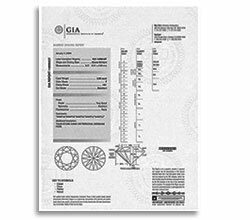 A diamond certificate is a statement, issued by an independent gemological laboratory. Expert gemologists in these labs perform various tests on a diamond using the highest quality gemological instruments and the observations are recorded in the Certificate.